5 vendors have this plant for sale.76 members have or want this plant for trade. We are located along the coast in Northern Flagler County, FL. We planted our Bird of Paradise last year. It is blooming for the second time. It is quite beautiful and has proven to be trouble free so far. Our zone is 9B, because of our proximity to the ocean. I must be really lucky if your other comments are to be believed. Whilst in Madeira last Christmas I bought 2 packs of seeds of bird of paradise plants one usual pink and one blue. 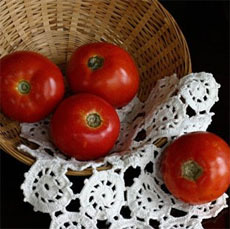 these were off the market and in small plastic bags so not commercial. I live in Finland so potted some of these indoors just to see what would happen so far I have 6 plants >YES 6. the first 4 are of the blue variety and now have 4 leaves each. the others I am not sure as I did a mixed batch and two have just come through within the past week or so . again indoors. Bought Bird of Paradise plant at wholesale nursery in Martin County, FL. Planted in Okeechobee, Fl about a month ago. Day three of blossom. Mulched and fertilized and watered heavily daily for first week. Then rained heavily for several days afterwards. Watered with shower on hose head setting by wedging between stalks for about 1/2 hour. My yard man suggested this, plus took us to nursery to pick out plants. I bought a huge plant (25 gal pot) with numerous blooms from a nursery owner last summer. At Christmas I splitted it into 4 smaller plants using a hand saw. I gave 3 away to friends as present. Currently, mine is blooming and so are everyone else's. Great plant! morgrok here or should I say morgram here again. My bird-of-Paradise update....I said I was going to get my now 23 year-old strelitzia to bloom again. Well, it's fixin' to do it. I have a stem! Earlier I attributed my difficulties to irregular watering. Actually that has not been the problem. I guess I always knew what the problem was, not enough nutrient intake. I always passed on feeding the thing but after eight years without flowering I had to face facts. My strelitzia has come around thanks to liquid plant food. Always keep in mind that the strelitzia is a gross feeder or a nutrient hog if you like. I once again look forward to seeing that spectacular flower later as we enter the summer. After an 8 year pause some family members were hesitant to believe my strelitzia is once again go... read moreing to bloom but it is. I am quite proud and I would not be at all surprised if my particular plant is one of the best mature specimens in the northeast part of our country. I live in Southern California. My Bird of Paradise is on the southwest corner of the house in a dry area. For years it bloomed infrequently then I started watering it once a week with everything else and it has gone crazy with the blooms now. I bought a small BOP (looekd about 2 years going by pics on here) last summer from a home improvment store, they advised me I could keep it outside but cover it on cold nights. Other sites had said it was hardy in 8b, just to mulch the base. We had a VERY harsh winter, 6' of snow, lots of frosty nights and the coldest since Ive been here. I covered it up most frosts, but it didnt seem to make it. Once it warmed up I cut it back and left it in the ground incase any parts survived. I had put a fern in the line of sight to hide the ugly dead stumps and forgot about it. I was thrilled today when I was weeding I saw a new shoot about 4" long poking out of one of the stumps!! I plan to dig it up and pot it too keep in the sunroom over the winter. I wondering though if I'll ever ... read morebe able to keep it out in the ground year round? I have two Strelitzia reginae plants which are about 8 years old and flower regularly. I would like to grow more using their seeds and have been checking them regularly for seed pods ... but none to be found. Does anyone have any ideas? Also, does anyone have a picture of where the seed pod in relation to the flower or can you describe where I should be finding it. My strelitzia is 21 years old but has only bloomed twice probably do to irregular watering on my part but I am hopeful I can get it to bloom again. Last time I transplanted it was back in 1997 into a big white container. It is now quite rootbound. The whole thing now weighs a ton and it would take a chainsaw to remove it from it's container. I did not plant it in 3 parts potting soil, peat and sand like they tell you too just 100% percent potting soil so I've always had a lot of leaves. It's still a pretty robust 21 year old strelitzia and I'm gonna get this sucka to flower again! A lovely plant, world famous of course. Mine has yet to flower but I am expecting to do so soon! At the moment this is growing in a pot for me, I have thought about planting it out but don't have the room. It's the age old adage of keeping them dry in winter, if this is achieved they are fairly hardy and in my experience can take up to about -5C. Here in minimum temperature zone 9a, where there is cover it is well worth trying outside, however as mine is currently small and many of my palms and plants that would be used as cover are fairly small also, I will keep it in a pot, so if a very cold spell comes about I can move it. The only downside about this plant is that it doesn't grow too fast here, with less sunshine than the so... read moreuth coast of UK (although more than central/northern UK), it only puts out day 4 leaves a year which means that it doesn't make huge amounts of growth in a year. However the ability to survive some of the inclement weather that Uk throws at it, plus for it's beauty I have rated this a positive experience. My S. reginae is approximately 15 years old, and is over 5 feet tall and 6 feet in diameter. It's planted at the northwest corner of the house, and although was slow to get started, it now blooms continuously--and most of the flowers are doubles. It continues to flourish with minimum care...despite the Santa Ana winds that plague Southern California. It has survived winds of 70 mph. I have shared many offshoots with friends and family. One of my favorite plants. I found this plant tossed outside for the garbage man at the mall where I used to work in NJ; I brought it home, where for 2 months it did nothing but sit there looking rotten. Now, I've moved to FL, where I promptly put the big guy out on my balcony. What a difference! In the space of 3 months it's already grown 3 HUGE new leaves, and looks like it's working on a 4th (or maybe a whole new stalk?)... I can't wait to see if I can get it healthy enough to bloom! Surprised how willingly it was brought back to life - hardier than I thought, I guess! Beautiful plant! Adds tropical look to north/east exposure. Leaves burn too much with afternoon sun due to high light intensities in desert. May need protection on frosty nights but well worth the appeal:) I have grown this plant with little protection but it was near the wall of my house. Our greenhouse has two of these: one in the back (which gets more shade), and the other in the front (which gives it more sunlight). The one in the back has bloomed twice this summer. The one in the front has never bloomed to my knowledge. I grow my S. reginae in a pot in the Twin Cities area of Minnesota. I grew it from seed back in late 1980s. It first set buds in an 8" pot after becomming root bound and left out on the patio till near frost conditions, was brought in-doors for the winter and bloomed all winter long. I eventually transplanted it up to a 16 to 18" pot, and the thing weight a ton to move, but would have over 30 blooms in a season. I divided it and down-sized the pot to a 12-14" pot, and now its movable again and still has lots of blooms. Very showy plant with really tropical appearance. It can tolerate our cool winters (avg. 50° F), cool winds, and even light frosts! In the last great snowfall of Athens in February 2004 (min. temp. 23°F/-5°C, the lowest since many decades) the unprotected plants died down and grew again in spring. Hand pollination is necesarry in my area and it was done succesfully in early spring, despite the lack of warm temperatures. Hi, I have grown Strelitzia reginae and also the juncea and parvifolia for about the last 5 years in 60litre bags. 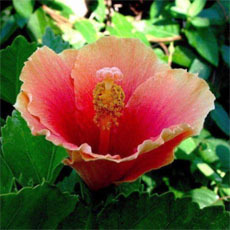 All plants are grown by propagating divisions from large excavated clumps. Success rate is about 95%, and most plants flower within 9 months. The main requirement for Strelitzia is sunlight. Too much shade gives lanky plants that flower less. Also they are frost intolerant but will generally handle any temperatures above that. In my collection of about 2,500 plants, I have several white reginae, whereby the blue/purple petal is actually a pure white. Has anyone come across this before, I have up... read moreloaded a photo. The tropical bird of paradise grows great in Phoenix Arizona, especially on the northern side of the house. It is easy to take care of but takes a long time to start blooming. I live in Palmdale, CA, which is in the high desert of Los Angeles County. I have seen this plant growing here in Palmdale and in the neighboring city of Lancaster. In fact I've even seen blooms in the winter here. This is interesting in that it gets down into the 20's here and we recently had light snow. Luckily here in L.A. county they can be purchased quite inexpensively. This is one of my favorite plants! Lovely plant, this. I've not yet had flowers, but leaf growth is very glossy and green, so I'm hopeful.. This one never sees real sunlight as it's behind a thin curtain, and it's happy. I'd suspect browning of leaves was either too much/little water or scorching from too much direct sunlight. Official flower of the city of Los Angeles. Very easy to grow here. 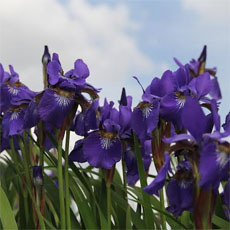 Blooms mainly in winter and spring in hot summer areas. I, like k5cents, have a strelitzia whose tips curl and turn brown. Is this normal? I have had my Bird of Paradise for 10 years now. Its in a big 14" pot. in the winter it's inside in front of a south facing window. It usualy folowers just after Christmas. In the summer it goes back out side on the deck in semi shade/sun. I usually cut the growth back every fall when I bring it inside so I can share the living room with it. I like it but it is a little to big! I would like to replace it with a dwarf form that I have read about. I have seen seeds for the dwarf form, but I don't want to have to wait 5 years for it to bloom again! Anyone know of a domestic supplier of the dwarf form? 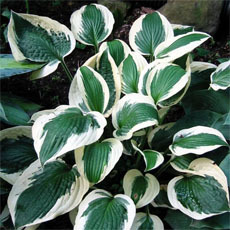 A great plant with exotic flowers and large leaves. Drought tolerant once established. It can survive tempuratures to -8 in a sheltered position. That means under a pergola or patio roof in a pot. Mine did anyway andf it was quite young. Does well in semishade. Good for seaside gardens as the leathery leaves withstand the salt breeze. It is a interesting plant. pokerboy. Palmbob -- where would one order the rare yellow-leafed variety? Although Bird of Paradise has in Rio de Janeiro the perfect conditions to grow, people seem to avoid it. I don´t know why. 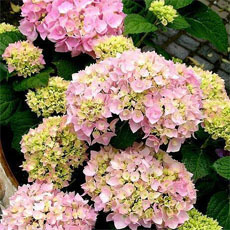 It´s a beautiful plant, with great flowers, and doesn´t demand more care than the regular plants. I'm wondering why the leaves on my Bird of Paradise turn brown on the tips and curl. When they emerge, they are a beautiful light green. The plant was a gift from a friend, and is becoming quite large, growing in a south-facing window where it receives indirect/filtered light. This plant grows everywhere in St. Petersburg, Florida, zone 9b. 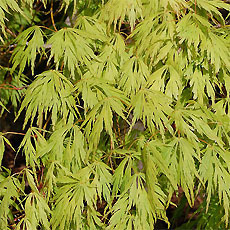 It is used a lot in commercial landscaping, as well as residential yards. In recent years the Tampa Bay Area has become a "heat island," due to all of the development and concrete, and with less than the usual rainfall, but these plants still do very well there despite the often drought conditions and water restrictions. My sister bought 4 seeds home from Hawaii, this year. I put mine in a pot and then forgot it. After I bought most of the plants back inside for the winter I noticed sprouts in the pot. They are still small but are very noticeable. one is just above the pot, am anxious to see the results. 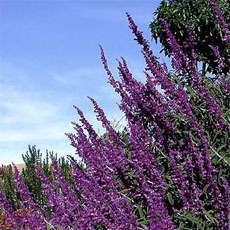 In Southern California, where this plant is grown all over, both in public and private gardens, as well as along streets and businesses, it is a very hardy plant. It does exceptionally well even in most of zone 9. It is also fairly drought tolerant, though also difficult to overwater. It is one of the easiest plants to move and divide, having short, very fleshy rhizomous roots that, though very brittle, recover easily and quickly. There are several varieties of this plant, both in size of leaf, color of leaf (some blue-green) and particularly in the flower. 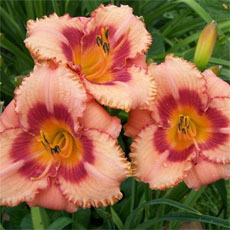 A few varieties have double flowers, some have flowers with an exceptional amount of red or vermillion at their base, and there is a rare yellow-leaf variety (collector's item). When the flower dies, t... read morehe preferred method of 'pruning' is to yank the flower spike from the plant (careful in newly planted plants or the whole plant may come up). Otherwise, over time, the plant gets a messy, sloppy look with all the dead flower and leaf bases remained. Older plants can be recognized by their exceptional size, producing flower and leaves up to 7' in length (over 20 years). A large, evergreen, frost tender perennial from South Africa. Has large, lance shaped, greyish-blue green, thick leaves borne on long stalks. Bears large, orange, green and purple half canoe shaped spathes with bright orange/yellow calyx and blue corollas. Flowers mainly between December - May but I've seen it in flower throughout the year. Likes a deep, fertile, well drained soil in sun or partial shade and dislikes too much sun during the hottest part of the day. I've seen this grown outside all year in Southern England with a heavy mulch. Needs frost protection. Sow seed at 65-70F, germination may be erratic. Expect to wait at least 3-4 years for the first flowers. Pretty plant with big leaves and exotic flowers. 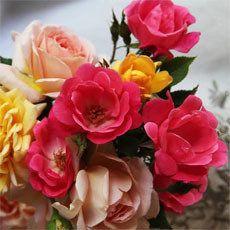 Often used in flower arrangements. Easy to grow from seeds.